If you’re able to support Burke Bros Managing Director, Gary Burke in fundraising for Birmingham Children’s Hospital, when he completes the annual Wolverhampton to Aberdovey charity bike ride, please donate through his ‘just giving’ page or support by sharing the page. The fundraising event will be held 21 June 2019 and Gary will join other cyclists in the annual charity bike ride from Wolverhampton to Wales. With more than 700+ entrants expected to take part in the rather gruelling 104-mile ride to the Welsh coastal town of Aberdovey they will be helping raise thousands for local and national charities. The ride is organised by West Midlands Police and is in its 27th year, the event is hoping to exceed last year’s fundraising total of £184,130.42. 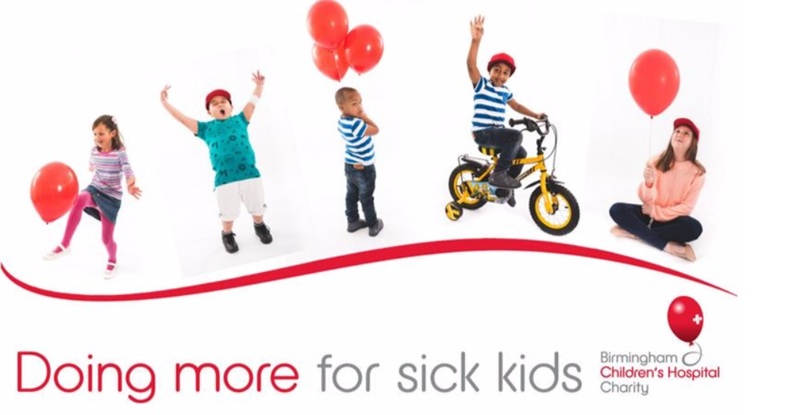 Birmingham Children’s Hospital Charity are a fundraising hospital working to raise the vital funds needed to make a real difference to all who use the hospital. Supporting the charity empowers them to take innovative approaches to treating some of the sickest children in the UK and enables them to make the hospital feel more like home.